Fall semester has begun, and students are thinking about new classes, the football season, and hopefully, about ways to translate their academic pursuits into meaningful career choices. What types of organizations have hired U-M students for internships in the past? Did you know you can find out at Meet the Interns on Monday, October 2 on the Diag 6:00 pm-8:00 pm? At this new and fun event, your student will have the opportunity to talk with over 50+ U-M students who recently completed internships. They will be talking informally about their experiences at organizations including Morgan Stanley, Macy's, Doner, Kraft Heinz, Blue Cross Blue Shield, among many others. Are you planning to go to the UCC Fall Career Expo? This popular Fall Career Expo on October 3 and 4 is open to all students, from 1st year to Ph.D., and in any academic discipline. With over 150 organizations/employers registered to attend, the Expo offers something for your student whether they're exploring career options or ready to kick-off their job/internship search. 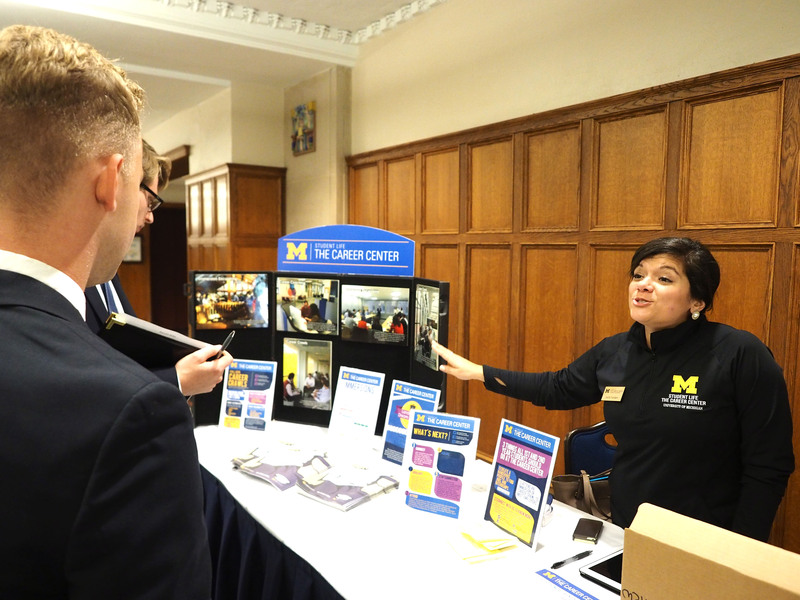 Did you know U-M has one of the largest alumni networks in the country, and you can talk with them about their careers and get advice through the University Alumni Career Network (UCAN)? By registering for UCAN, students will connect with alumni and other professionals who offer career advice via informational interviews/conversations. Alumni help students evaluate career fields, suggest experiences to get prepared, and offer tips for successfully competing for opportunities (e.g., internships, professional school, full-time employment, etc.). And, if YOU are interested in offering career advice to current students (as an alumni or friend of U-M), consider joining UCAN as an alumni/professional. Have you thought about consulting or finance as possible career choices? Are you planning to attend the new University Career Center’s (UCC) Consulting & Finance Career Expo? If the answer is "yes" or "maybe," or even, "I'm not sure, I haven't considered that before," you can let your student know about the UCC's new Consulting & Finance Expo on September 25 and 26. At this exciting new event, there will be workshops and opportunities for your student to meet with over 30 employers in the industry. University Career Center offers so many resources, so please encourage your student to stop by the office, check out the website, and register with Handshake to stay "in the loop" on important career information. The university calendar is another rich resource for finding career opportunities across campus. A search using the category "career/jobs" returns nearly 200 events for the first semester of school. Such a large list can be daunting but further refined by selecting a tag such as "International" or "Engineering". Also, if you're planning to attend Parent and Family Weekend, please visit the Family Weekend Career Crawl where you will have the opportunity to connect with UCC staff and employers to learn all about the job market and how to support your student in their career endeavors.